Those words gave a college student from a small town in Southeast Louisiana the peace and courage to surrender her path to God. Music wasn’t always on the radar for Brooke Robertson. As a twelve year old, you’d just as soon find her riding on a four-wheeler as you would sittingbehind a piano. It was on youth nights at her church that she found her singing voice. 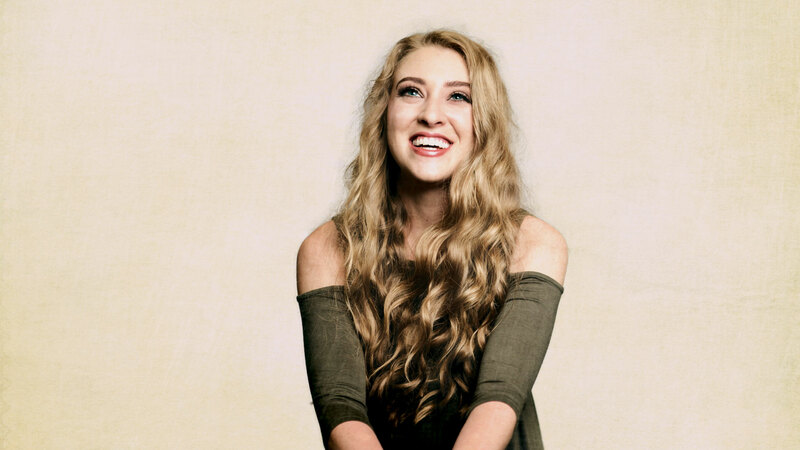 Even though she loved the feelings that go along with singing live; telling stories and making a genuine connection with the audience, Robertson didn’t have aspirations of making music a career… at least, not yet. For most people, college years are supposed to be a time to gain focus and clarity, a time to figure out what you want to do. No, what you’re supposed to do. Instead, Robertson found herself unsure of what God’s plan was for her life. She applied to graduate schools. She took entrance exams. Enter Jeremy Holderfield. The Seventh Day Slumber guitarist and producer had seen some videos of Robertson performing cover songs, and wanted her to come to Nashville to write some original material. Still hesitant, she decided to make the journey. They ended up writing and recording four songs, her firstEP, and Robertson found her clear purpose. Influenced musically by such luminaries as Natalie Grant and Mandisa, Robertson writes about herexperiences, as well as things that weigh heavily on her heart. Part of that message holds the wisdom and perseverance instilled by her parents and grandparents, which is the ability to trust your faith when faced with adversity. This is something she hopes everyone will take away from listening to her music.